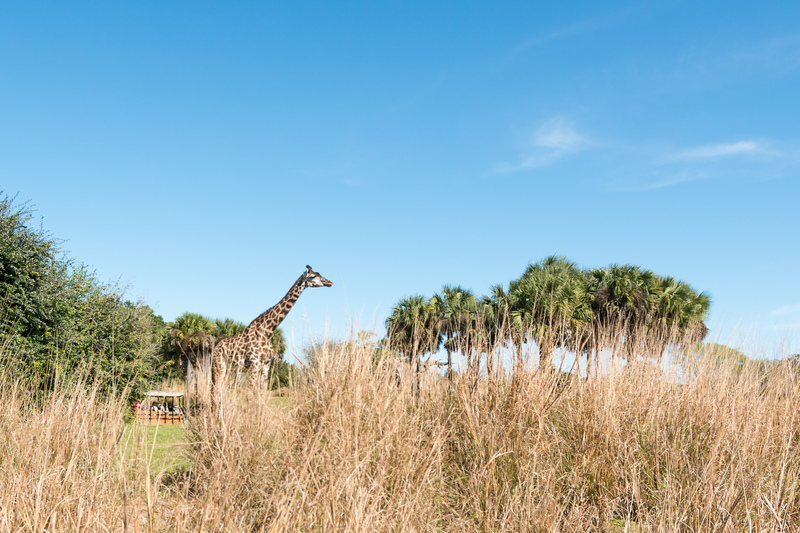 As promised in my last post, Liesle and I stopped in for an afternoon visit to Animal Kingdom last Friday, January 29th. We followed the RideMax plan outlined there, so feel free to refer to that post if you want more background. 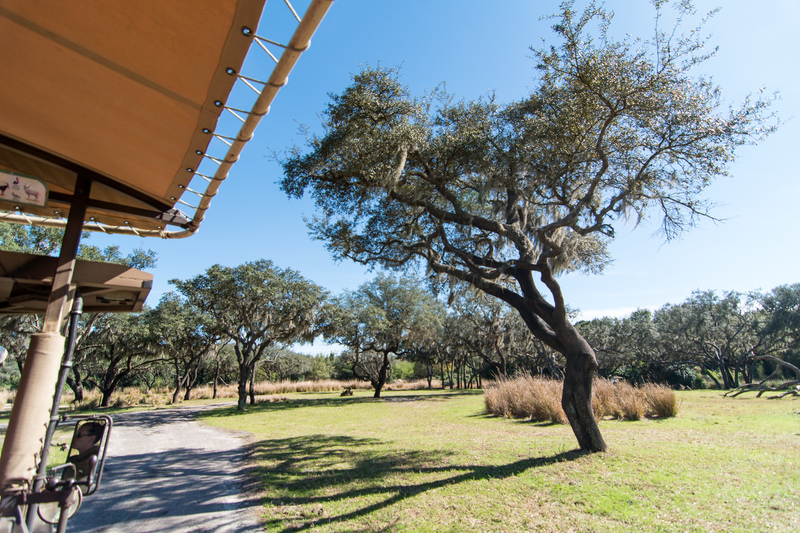 After all of the rain we’ve seen the last couple of days, these beautiful clear skies were a welcome relief. Our goal with this visit was sort of a personal one, and our RideMax plan reflected that. I seems that our lives have been increasingly busy lately, so we decided it was time for an afternoon/evening date in the park. 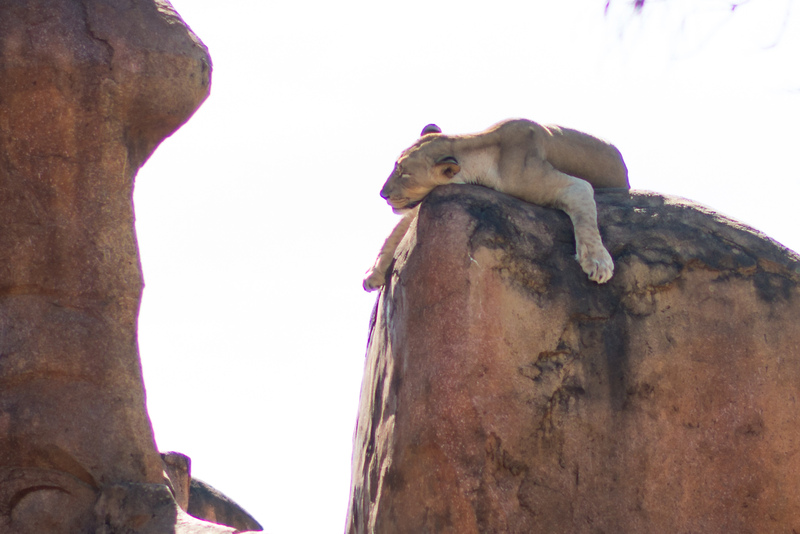 As a result of this more laid-back goal, we just did the few attractions we were interested in, and which would comfortably fit into our afternoon. 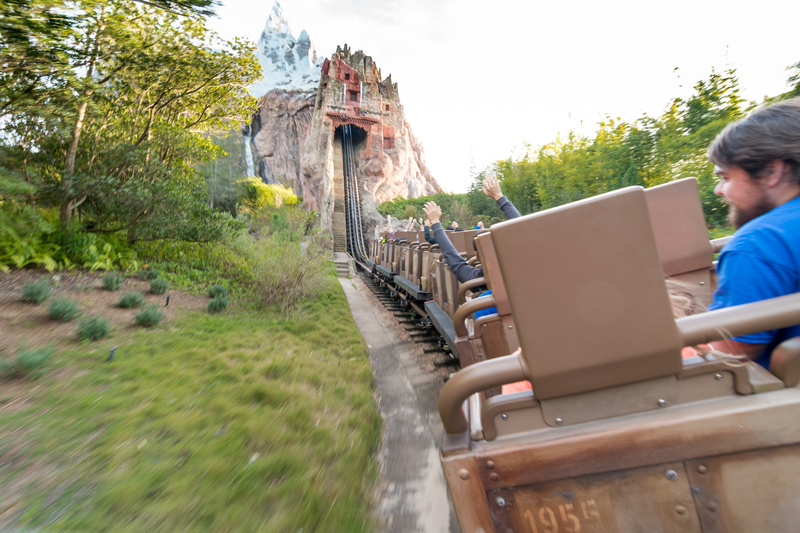 We skipped Dinoland completely, for example — neither of us felt like losing our lunch on Primeval Whirl. 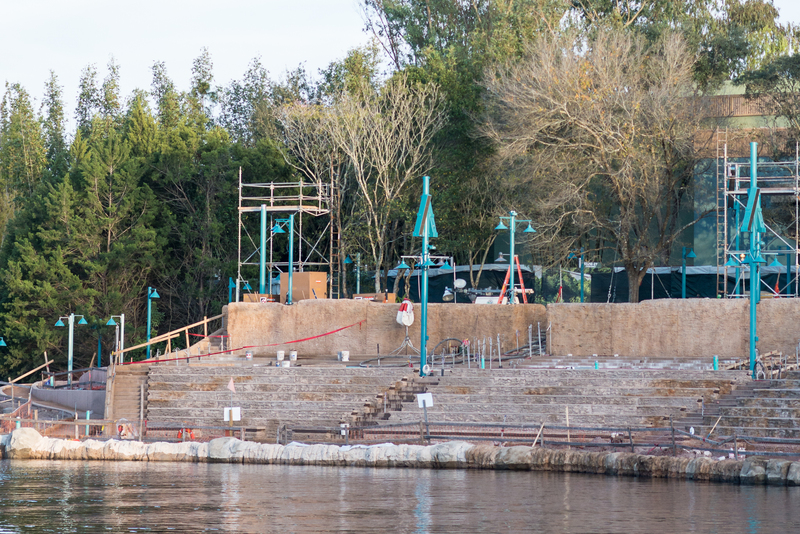 Before I give the details of our day, I wanted to post an update on the Rivers of Light construction progress. Here, you can see the left edge of the seating area. It may be hard to distinguish, but there’s a wheelchair ramp running back-and-forth through the center area of this image. Moving slightly to the right, you can see that they’ve started installing the aluminum bleachers, and this leads me to a major concern about this show. 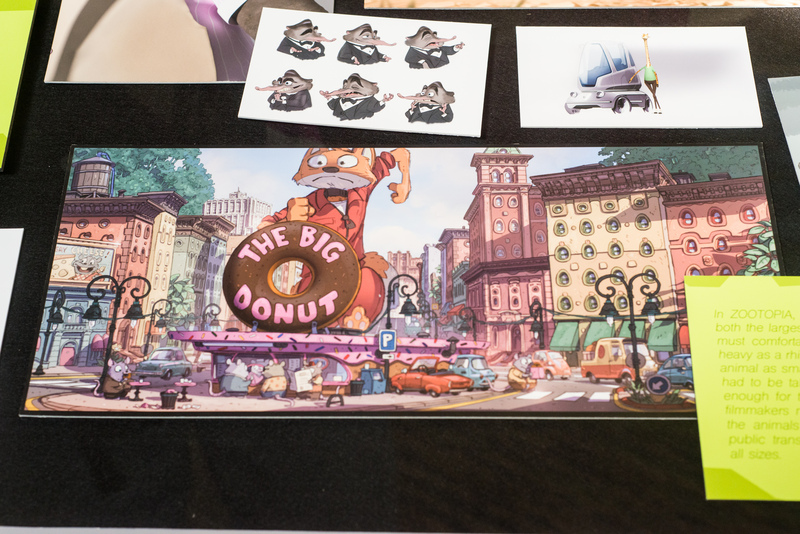 From the image above, it looks like there will be fifteen rows of seating, and I’m counting ten seating sections total as I scan over the panorama. 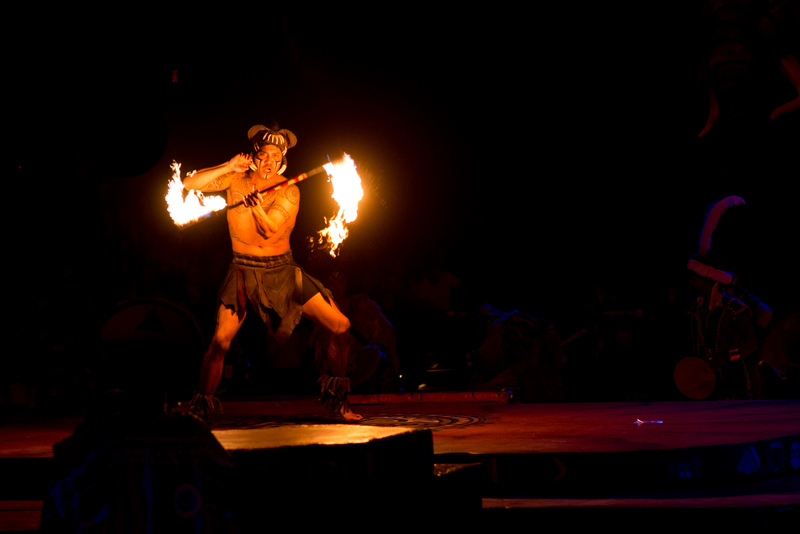 Contrast this with Fantasmic over at Disney’s Hollywood Studios, which has a full twenty-seven rows of seating, also spread across ten sections. 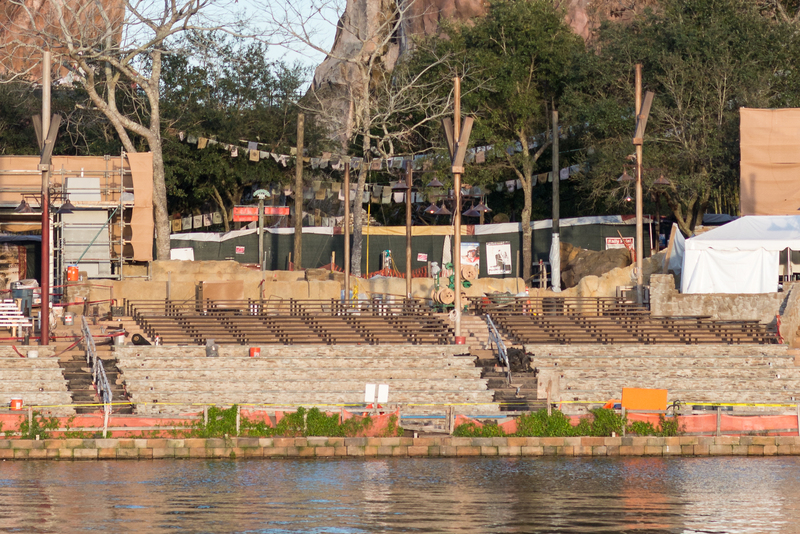 Because the sections get wider as you move from front to back, those last rows of Fantasmic have much more seating capacity than the first fifteen rows do, so I’m going to go out on a limb here and conclude that Rivers of Light will have less than half the seating capacity of Fantasmic! I know I’m not the first to mention this concern, but I’m trying to imagine how this is going to play out in real life. 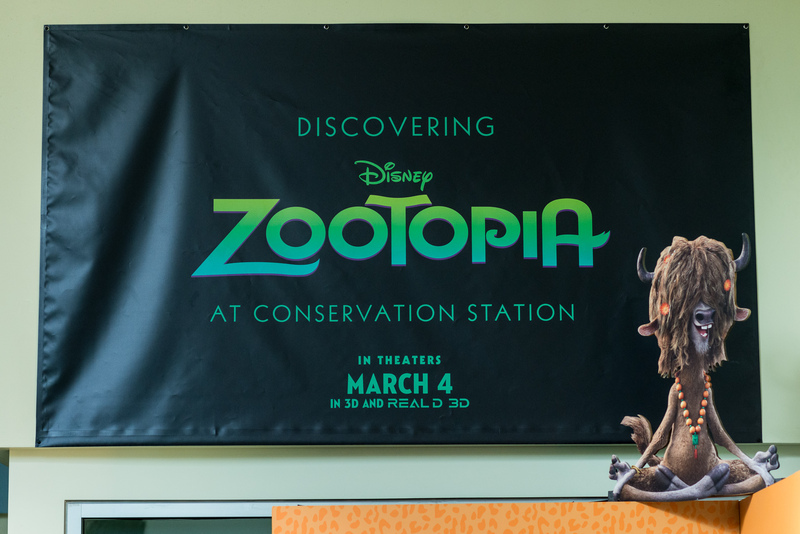 Is Disney NOT expecting large numbers to turn out for this show? 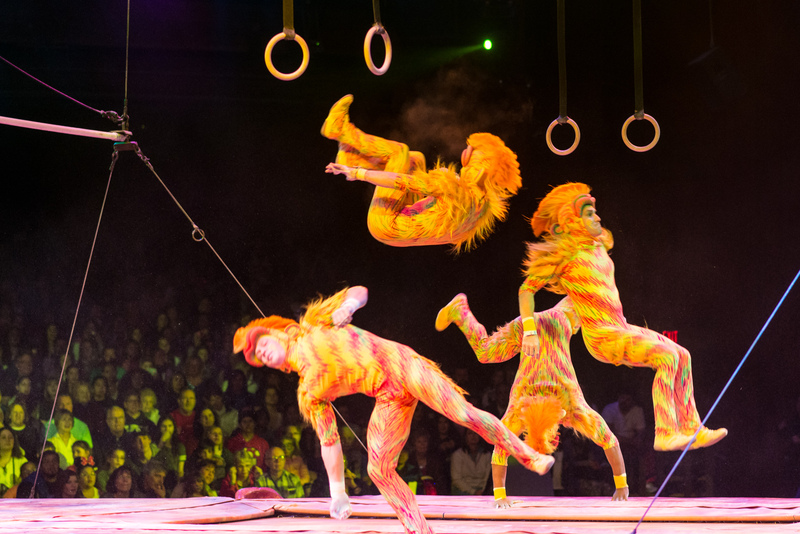 If crowds do materialize (which I think is very likely, especially during its early years), will they run multiple shows per night to meet demand? 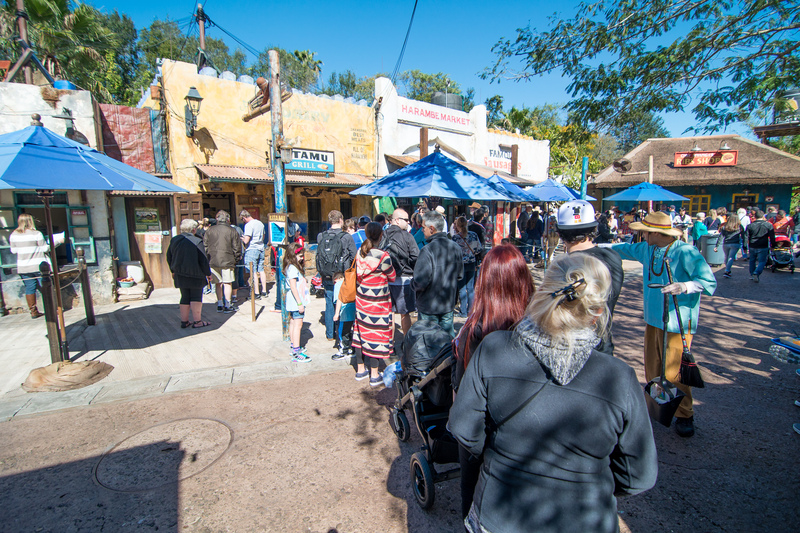 My back-of-the-envelope calculations above would indicate they’d need to run FOUR Rivers of Light shows per night just to come close to handling the same number of guests that two Fantasmic showings cover, which is the norm whenever Hollywood Studios is even just semi-busy. 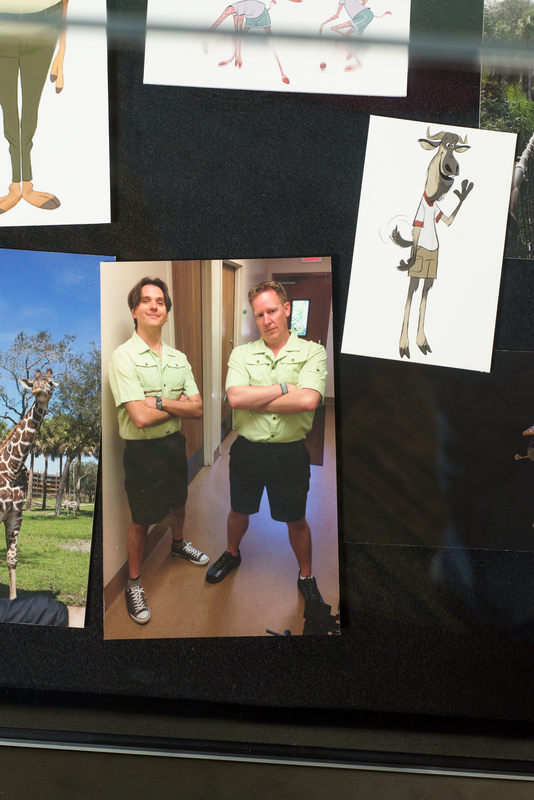 I don’t want to sound pessimistic here, because I’m personally really excited about this show and what it could mean for a new nighttime experience at Animal Kingdom. It’s refreshing to see something this big in terms of overall concept put into this often-overlooked park. 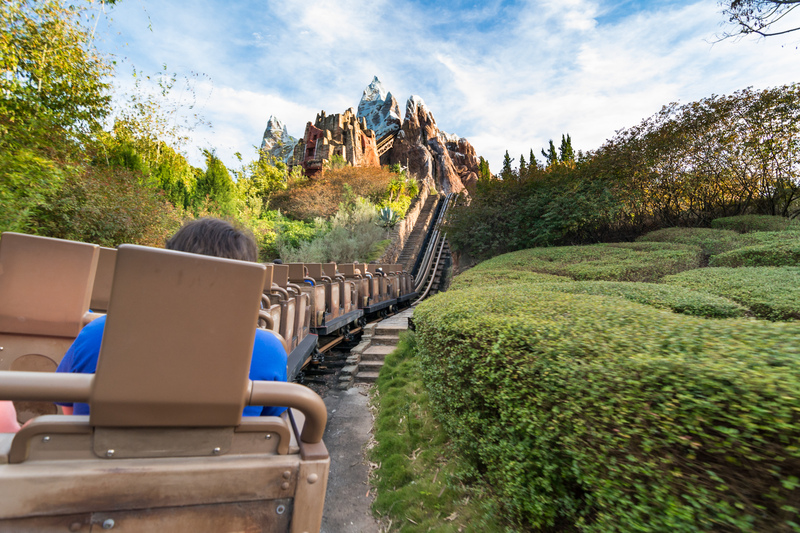 And the addition of nighttime Kilimanjaro Safare rides and other nighttime theming elements will just reinforce the idea that the Animal Kingdom can be a true all day — and evening — experience. 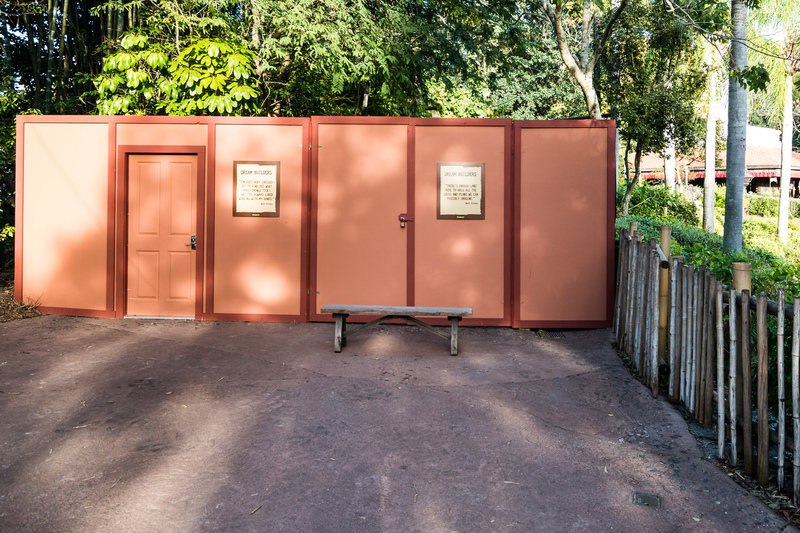 I just hope they figure out the capacity issue, if they haven’t already, because the limited viewing area could really put a damper on the whole “nighttime at Animal Kingdom” concept if they don’t. 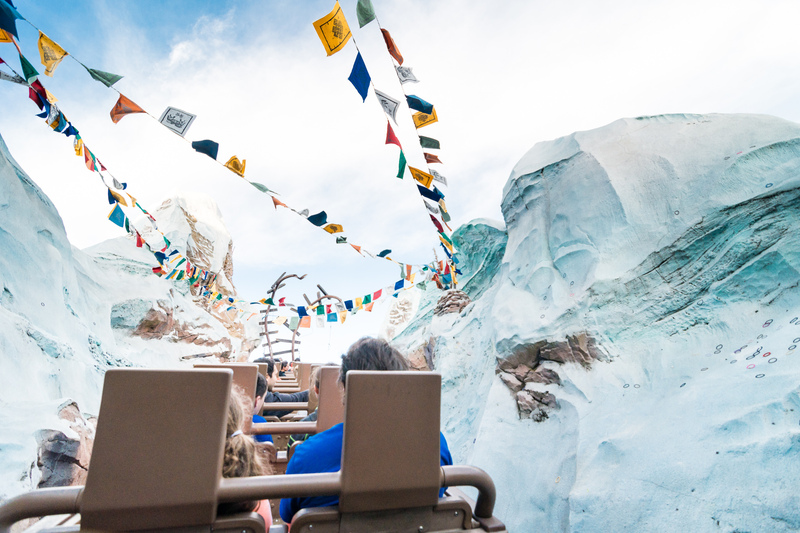 Continuing our scan across the seating installation, this is the area directly in front of Expedition Everest. You can see the large show control tower on the right-hand side of the image above. 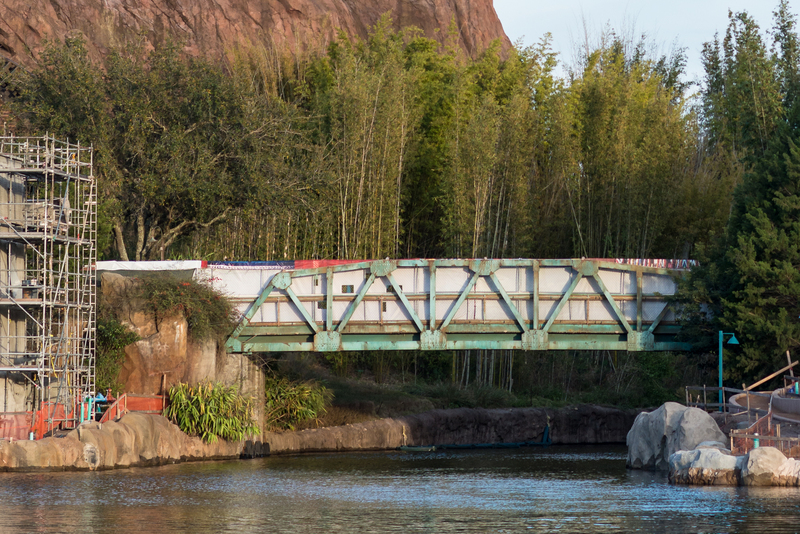 This is just before you get to the bridge leading over the river into the Finding Nemo show building area. Here’s a shot of the bridge. 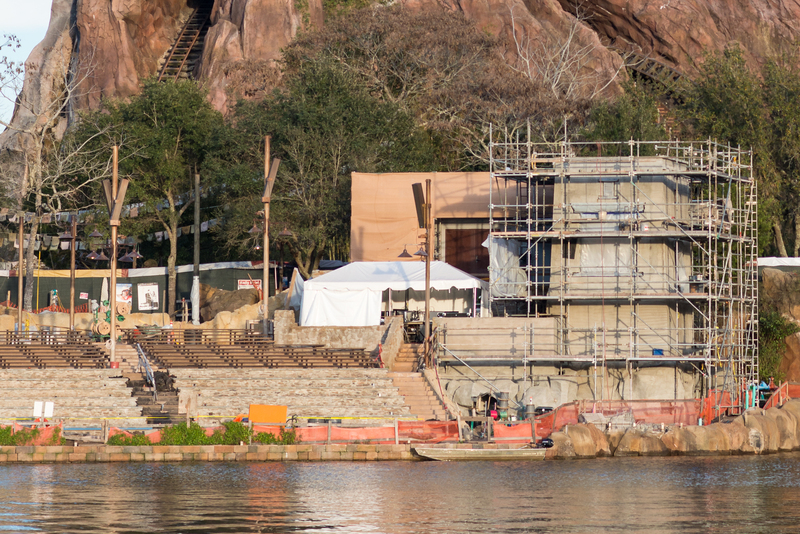 Note the cutouts in the scrim, which allow you a peek into the construction area from the bridge. Here is the seating area just on the other side of the bridge. If you click for a close-up, you’ll notice that the loudspeakers are already installed here. 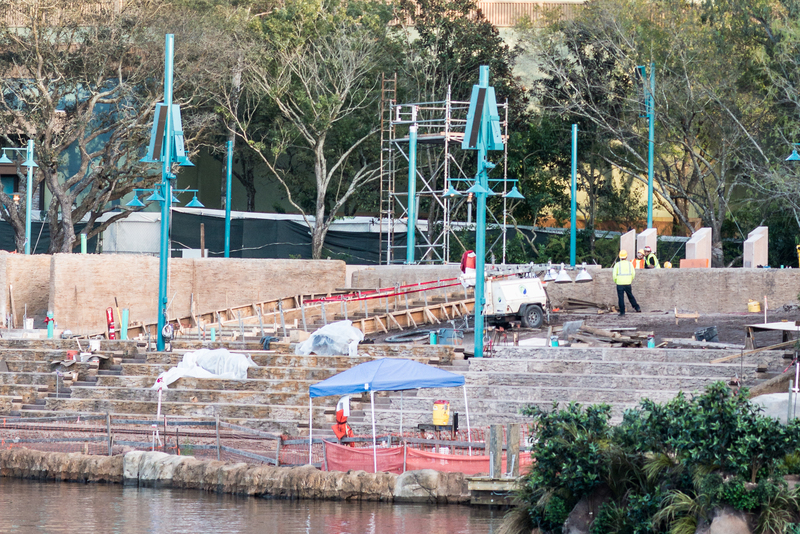 Also notice how the light poles and speakers are themed to match the nearby Finding Nemo show building and surrounding area. 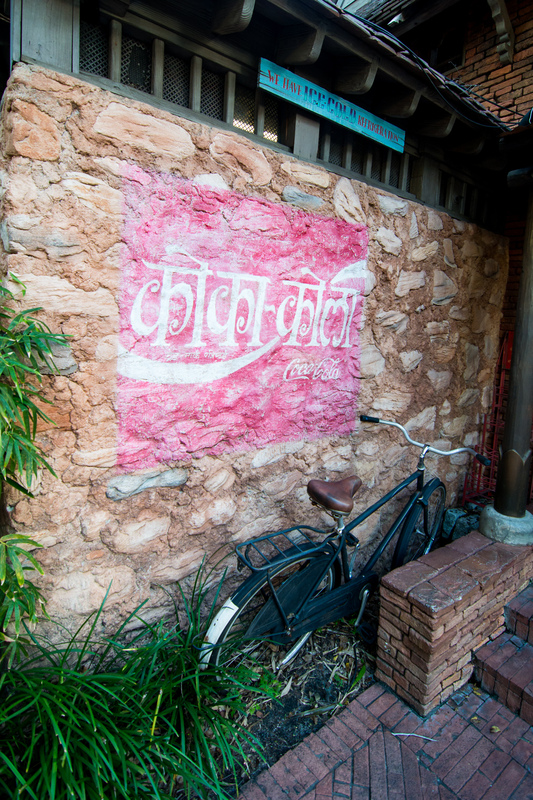 Contrast this with the more “Nepal” theme of the light poles on the Expedition Everest side of the river. And finally, here’s the seating area on the far right-hand side of the panorama. 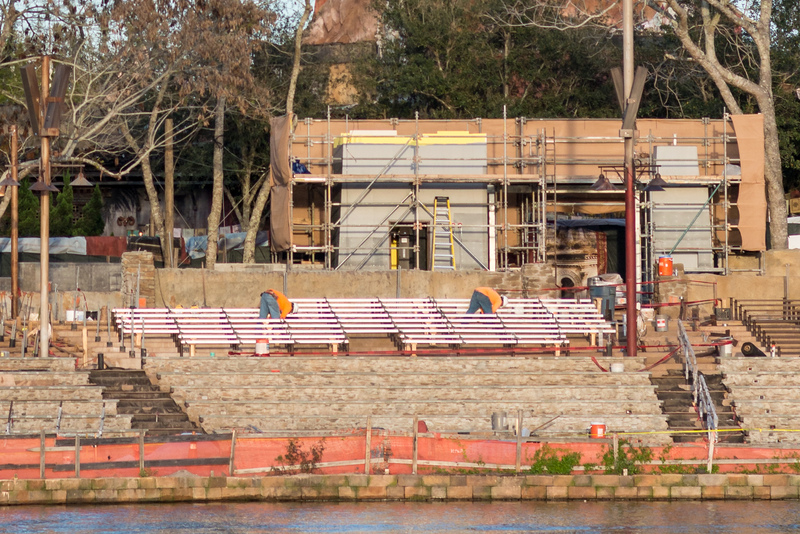 I know there has been a lot of speculation as to when exactly Rivers of Light will debut, and Disney hasn’t really said anything other than “spring.” Given that they’ve begun installing the bleachers, and the speakers and light poles are in place, I would expect the remaining work to move quickly. I wouldn’t be at all surprised if it opens earlier in the spring rather than later. As early as late March might even be possible, if somewhat optimistic. 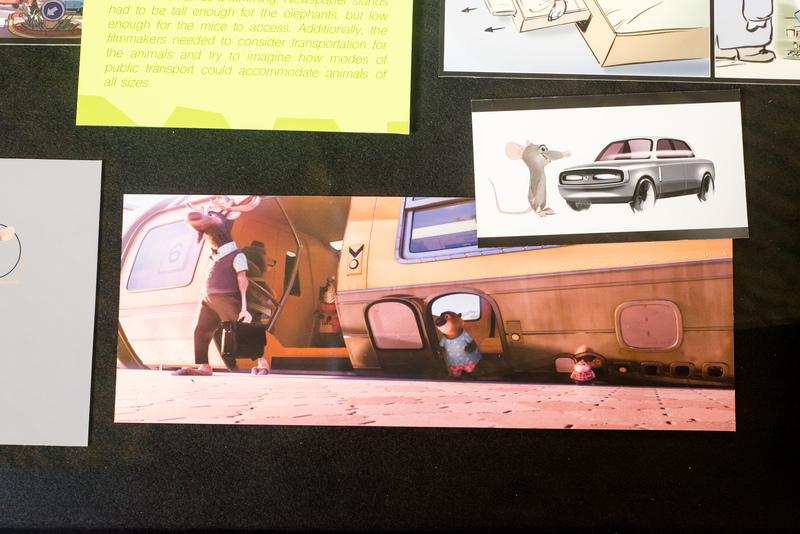 Given the lack of seating, though, I’d be prepared to jump on FastPass+ for this as soon as it’s available. One of the first things we noticed after entering the park was this tour group, but the group(s) didn’t really impact our visit today, which was a relief. 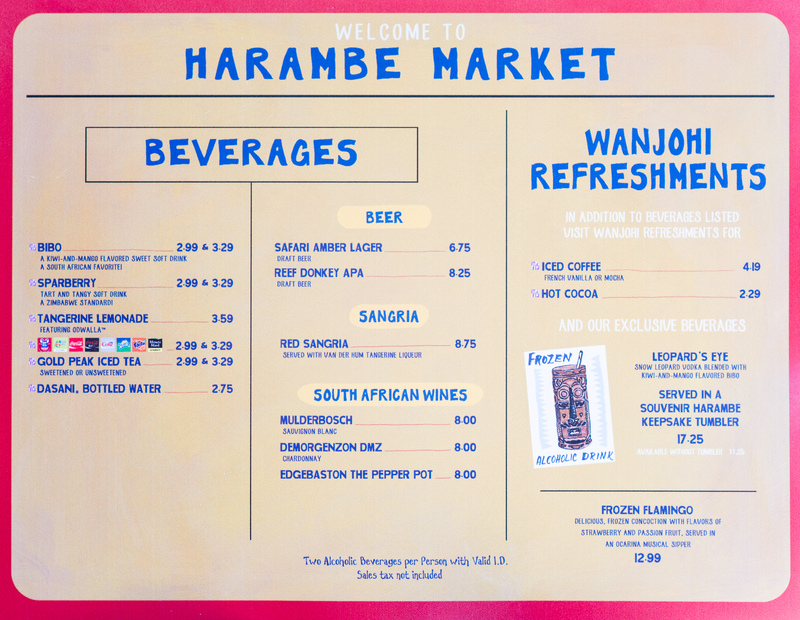 We arrived a little past noon, and our first stop was the Harambe Market area for lunch. As you can see, the lines here were on the long-ish side. 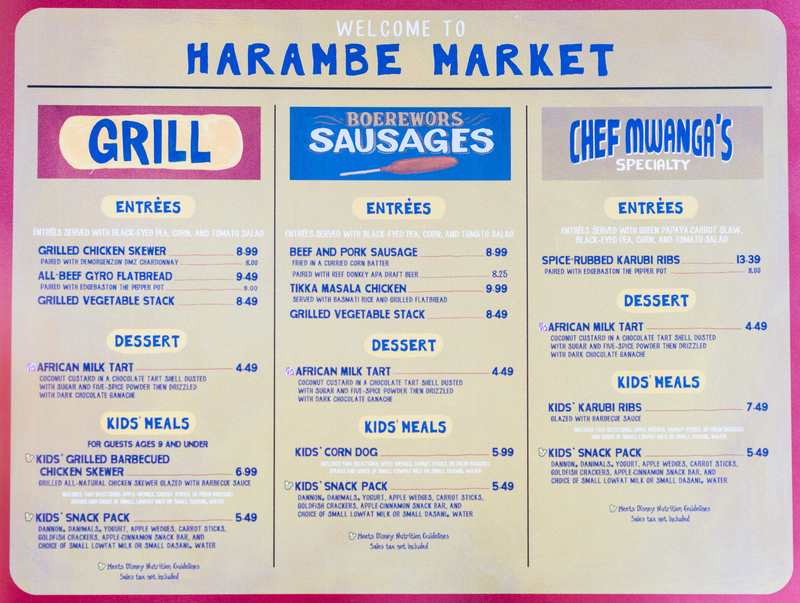 What we found interesting is that the Famous Sausages line on the right was often significantly shorter than the Kitamu Grill line on the left, even though they both offer the same menu. It definitely pays to check both sides before getting in line. On the plus side, the kitchen was cranking out the food quickly, so we didn’t have to wait too long before our food was served. We opted to share the Tikka Masala Chicken. 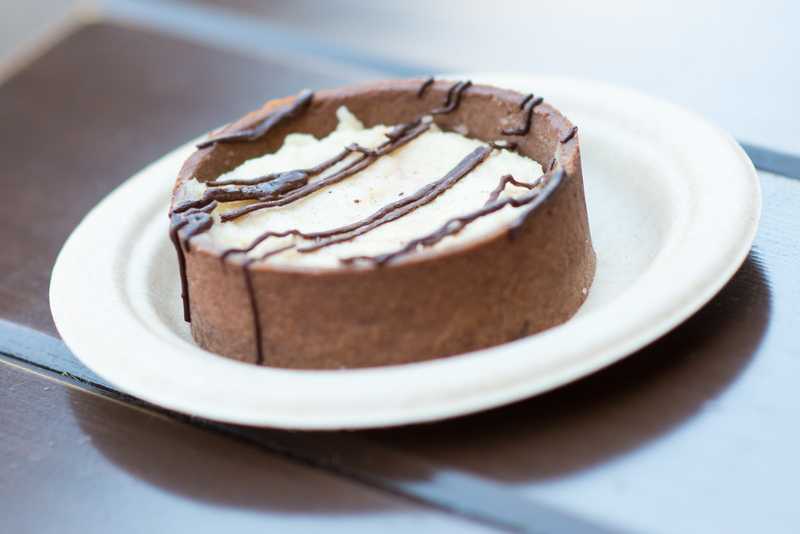 This is very similar, if not identical, to a dish they used to serve at the nearby Tamu Tamu Refreshments stand, and which was one of our favorite dishes at Tamu Tamu. 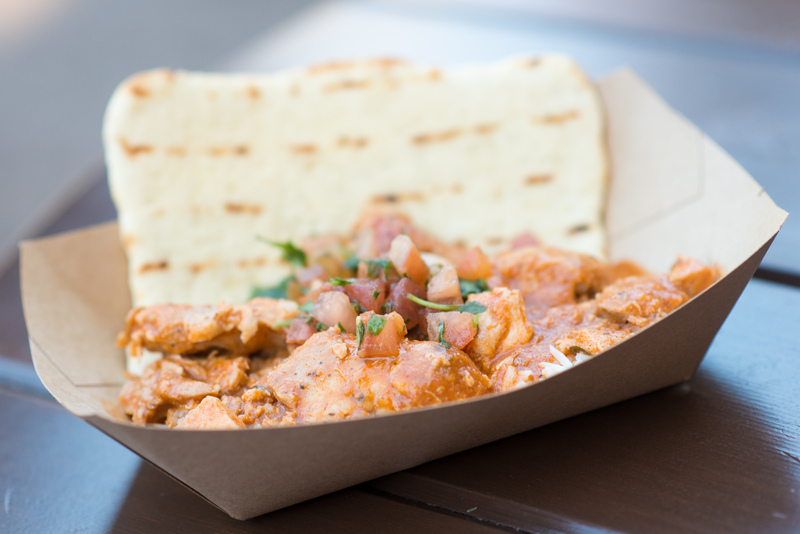 It has a great curry flavor that isn’t overpowering, and the accompanying diced-tomato garnish, along with the grilled flatbread and basmati rice, provide enough variety in flavors and textures to make for a really enjoyable quick service meal. Highly recommended. 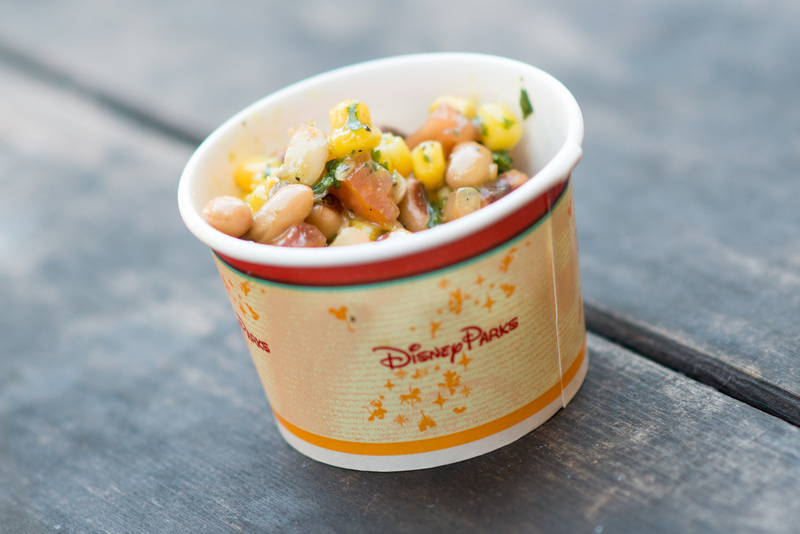 The black-eyed pea, corn, and tomato salad is listed on the menu as served with all entrees. Our only complaint was that they didn’t automatically put it on our plate. We had to go back and ask for it. 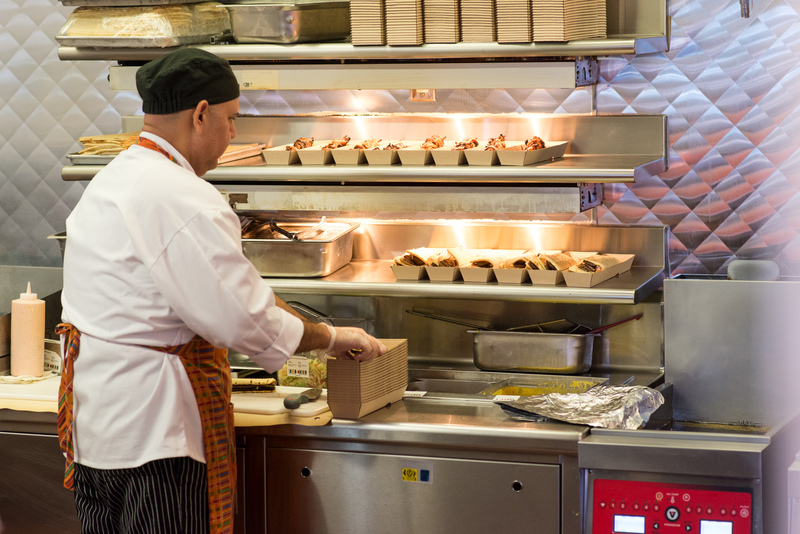 I noticed others not getting this “automatically” either, so I’m not sure if it’s Disney’s practice to only serve it when asked, or if we just stumbled into a new kitchen employee or something. My advice is to ask for the salad if it isn’t served initially with the rest of your meal. It wasn’t what I would call super-amazing, but the vinegar-based sauce added a nice complement to the curry flavor of the chicken, making it a worthwhile addition to the meal. We were pleasantly surprised by this dessert, even though what exactly “five-spice powder” consists of remains a mystery. This dish didn’t come across as too sweet or too rich, even though you wouldn’t know it by looking at it or by reading the description. It was really good. I’m sure we’ll be getting this again on a future visit. 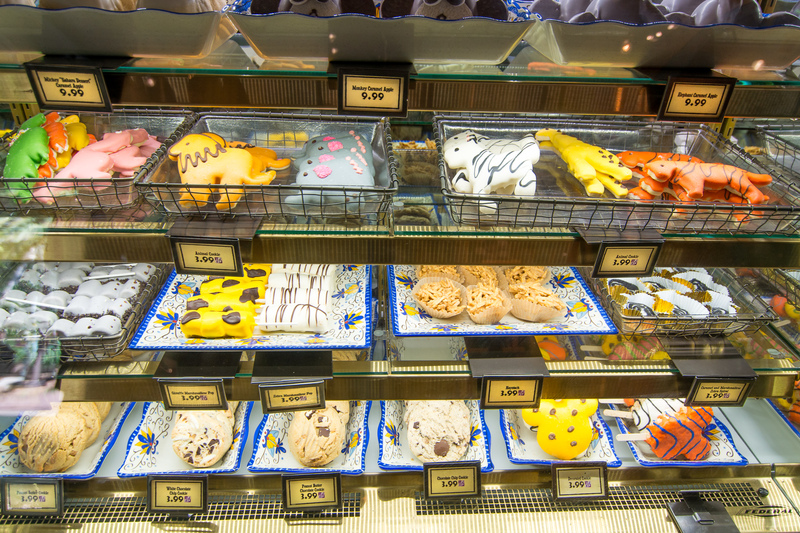 We ended up passing on the treats in the nearby Zuri’s Sweets Shop, but they did look good. 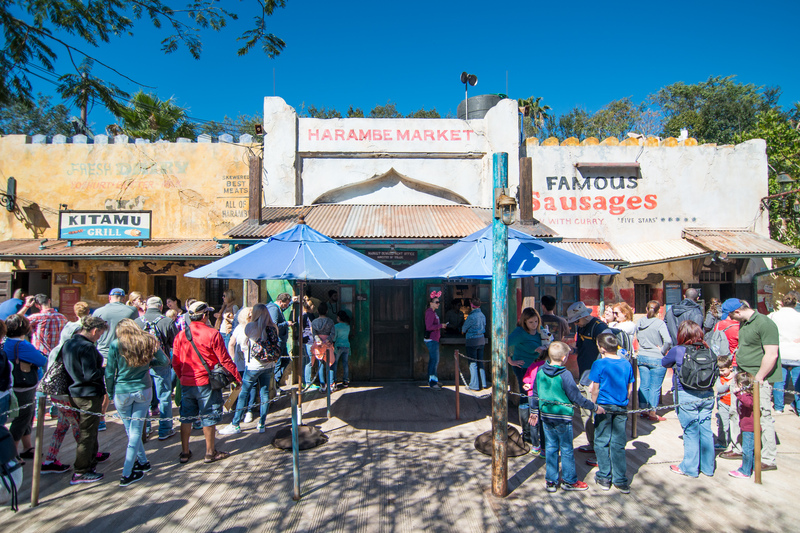 First up on our RideMax plan today is Kilimanjaro Safaris. 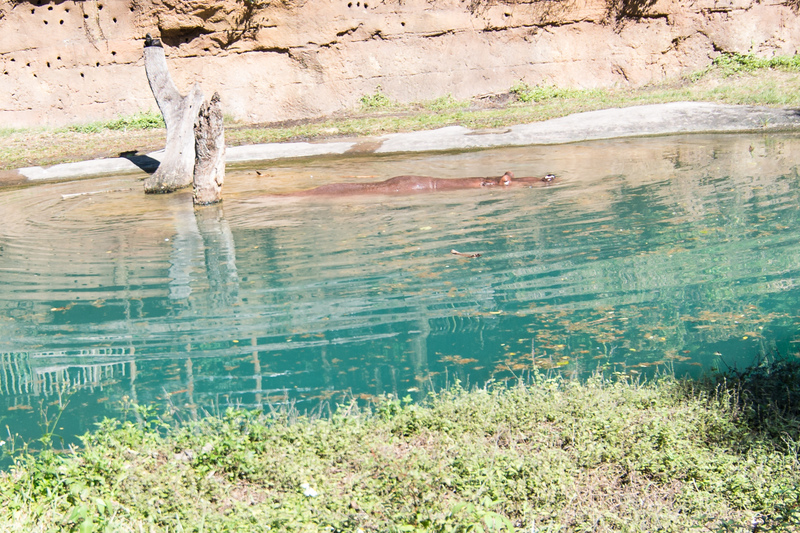 I was fumbling with my camera and missed the teeming hippos shot, so this single hippo will have to do, I guess. 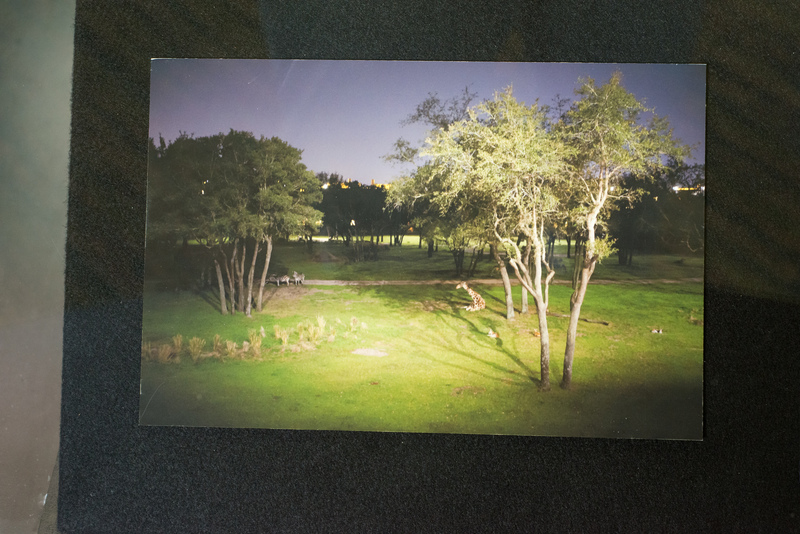 …the Savannah was largely devoid of wildlife. 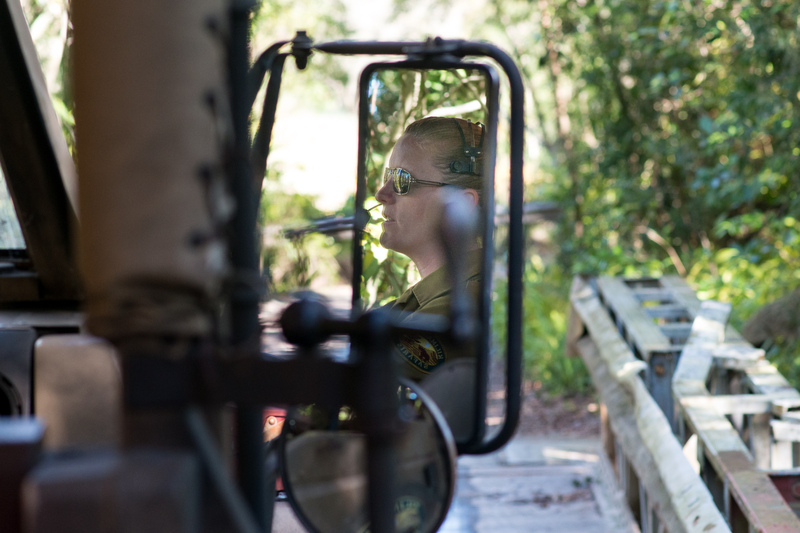 … and our driver was excellent. Just blending in with the rocks. 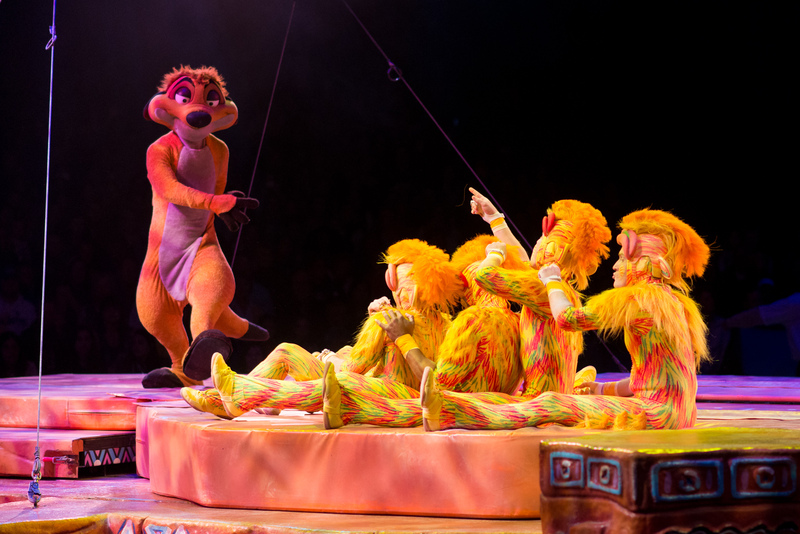 Once we finished the Safaris, next was the Festival of the Lion King. 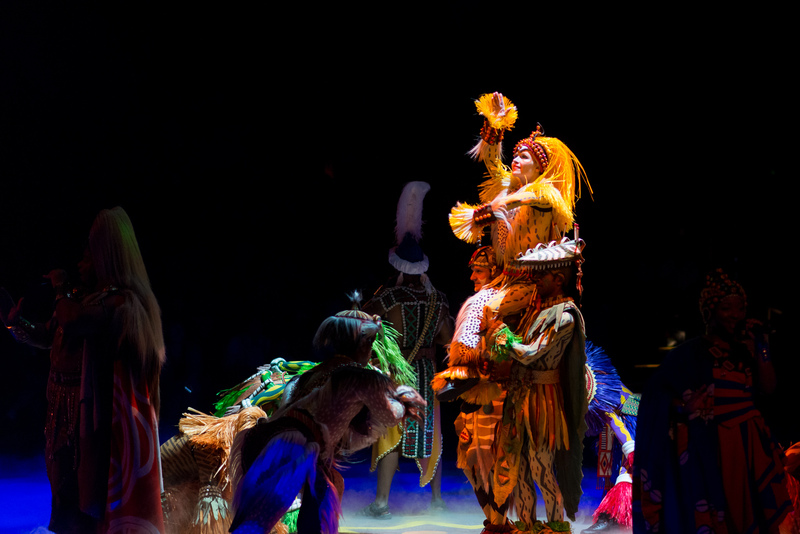 I don’t know how many times Liesle and I have seen this show, but it’s still one of our favorites. This guy is just plain amazing. 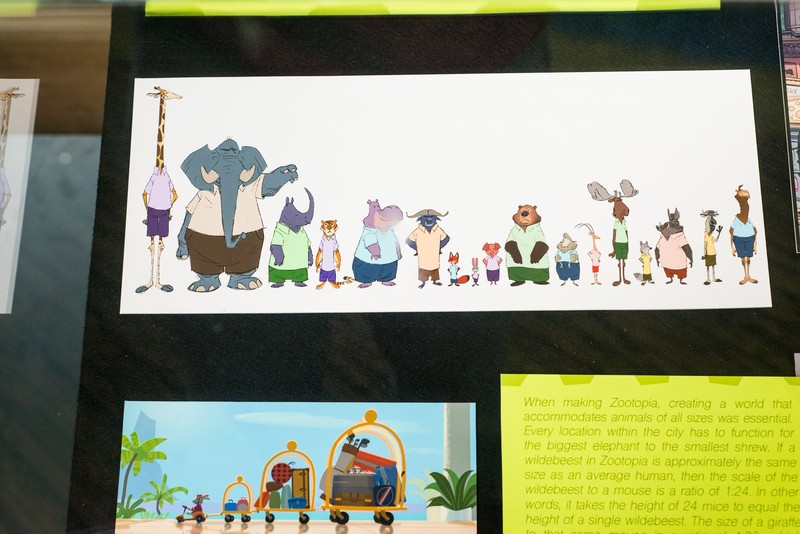 Next up on our RideMax plan for the afternoon, we hopped on the train for Rafiki’s Planet Watch. 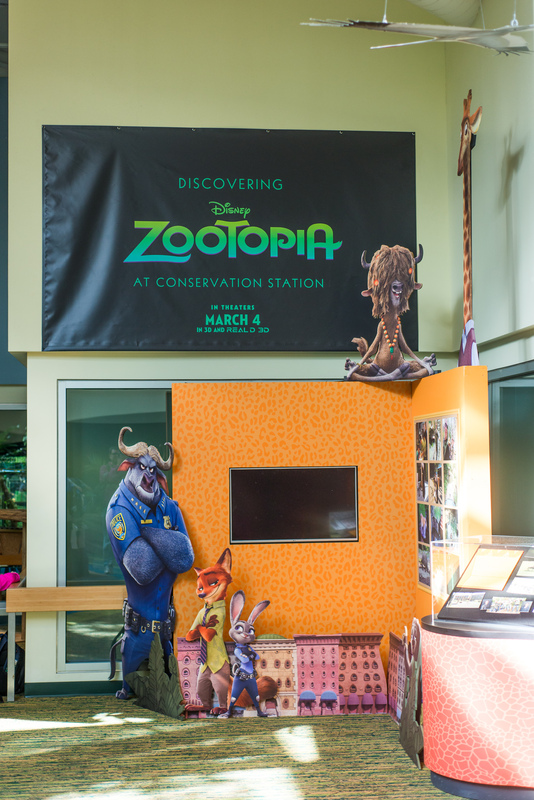 I had read on the Disney Parks Blog about this Zootopia exhibit, which opened today at Conservation Station, so I wanted to check it out. I’m not sure what I had expected for this, but it came across as sort of, well, small. 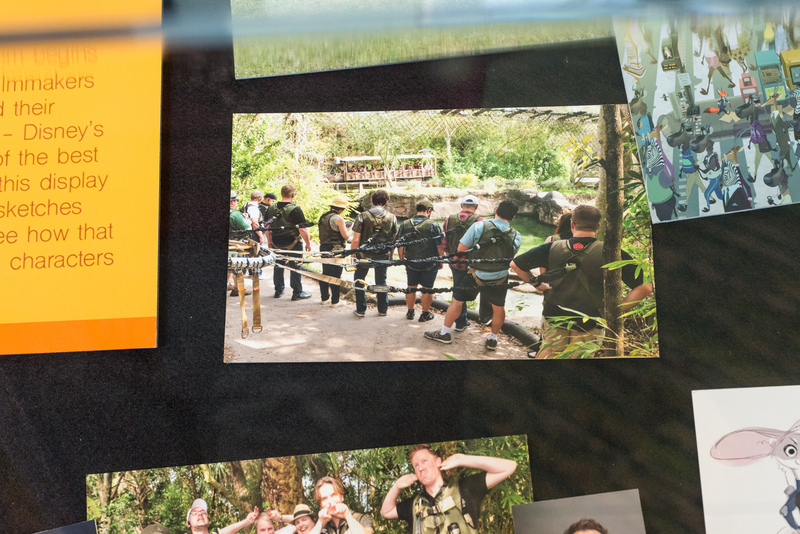 …along with a display case off to the right-hand side containing some pictures and other tidbits about the making of the film. 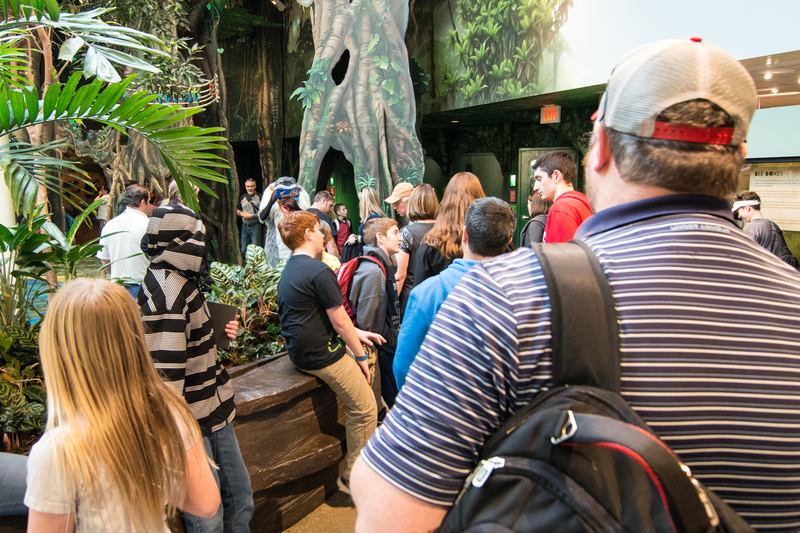 …even though you could literally turn around and see this line of guests waiting to meet Rafiki in his usual spot. 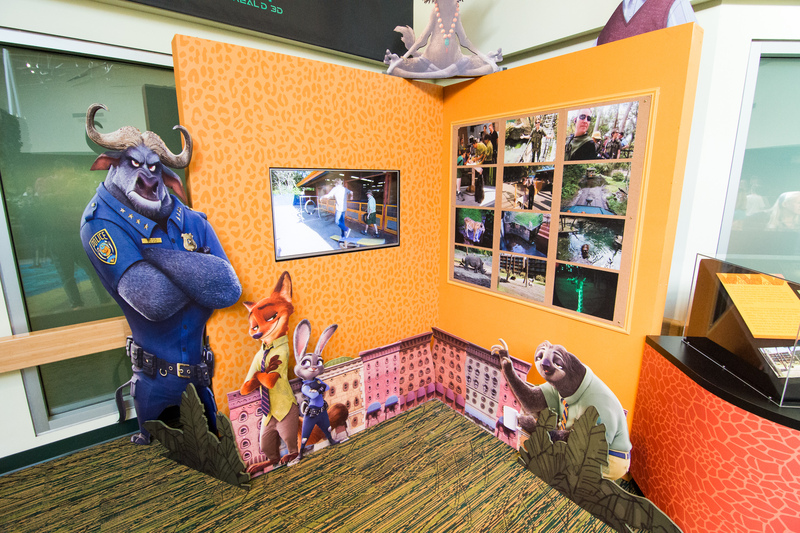 Given that the movie hasn’t been released yet and people aren’t familiar with the characters and story line, the seeming lack of interest in the exhibit may be understandable. 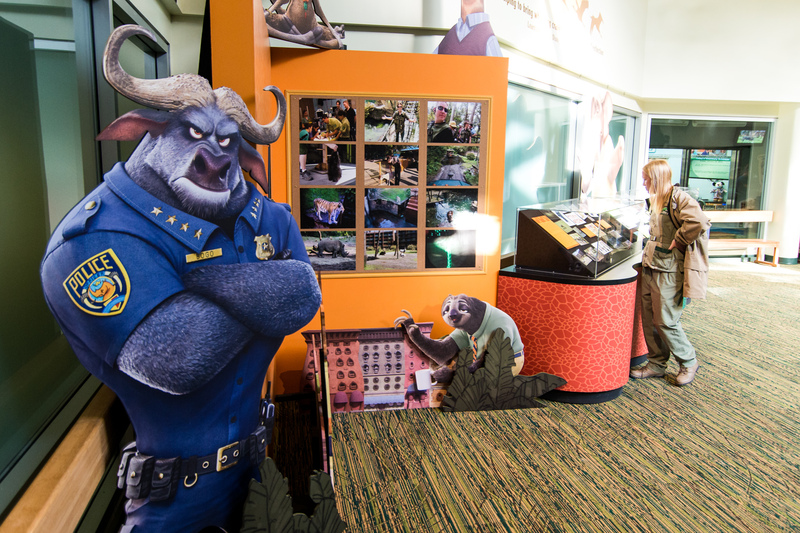 Hopefully we’ll see more crowds here after the film debuts in early March. 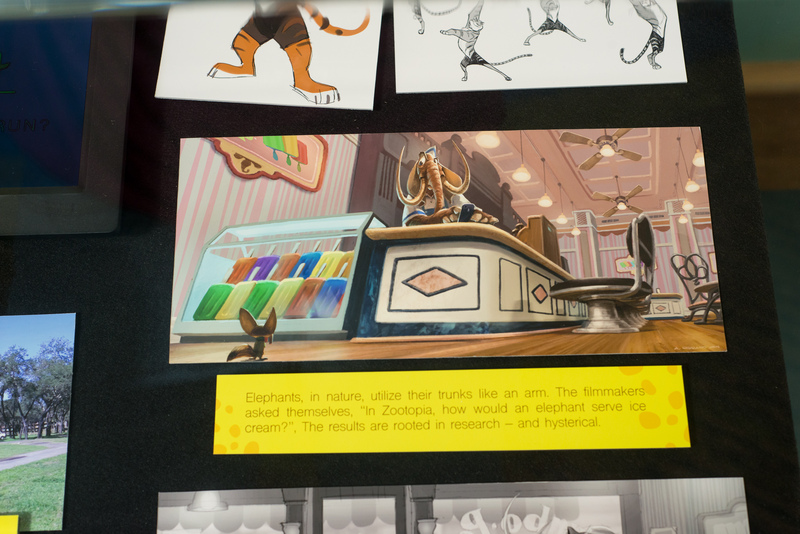 Here’s a close-up shot of the pictures in the corner next to the video screen. 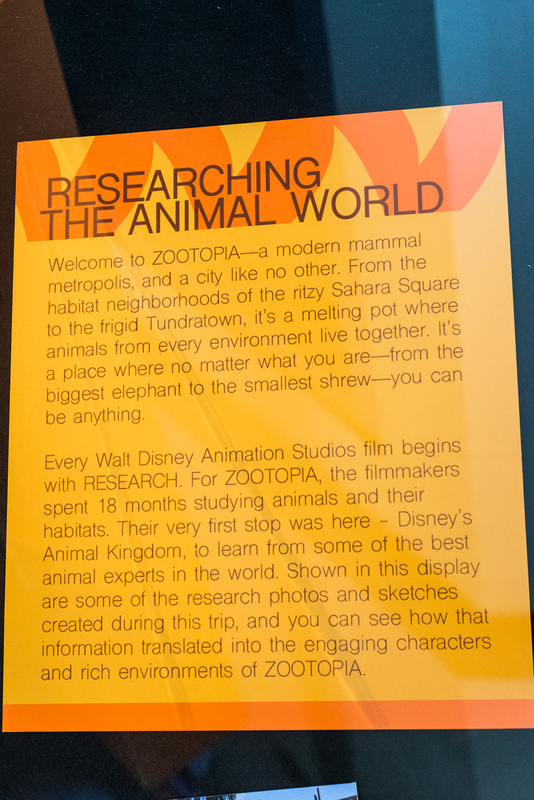 One major point of the exhibit is to demonstrate that the makers of the movie visited the Animal Kingdom before filming in order to get a better feel for the “personalities” and behaviors of the various animals depicted in the film. 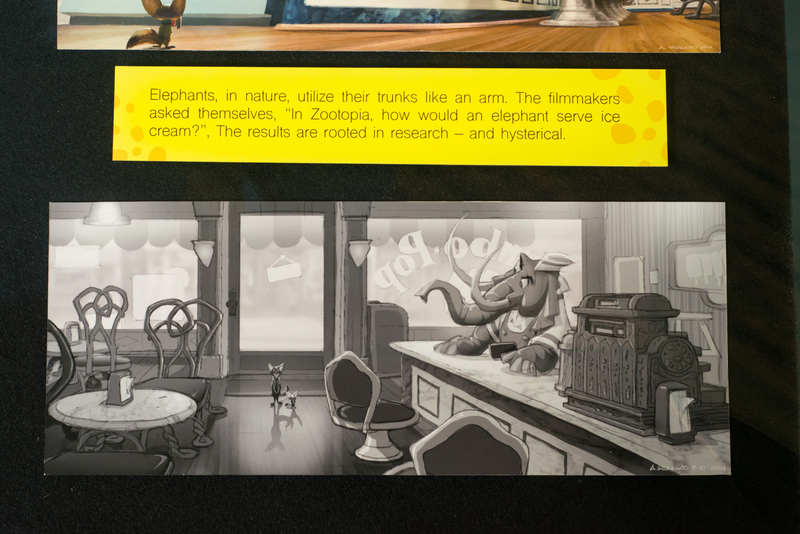 Here are some close-ups of some of the items in the Zootopia display cases. 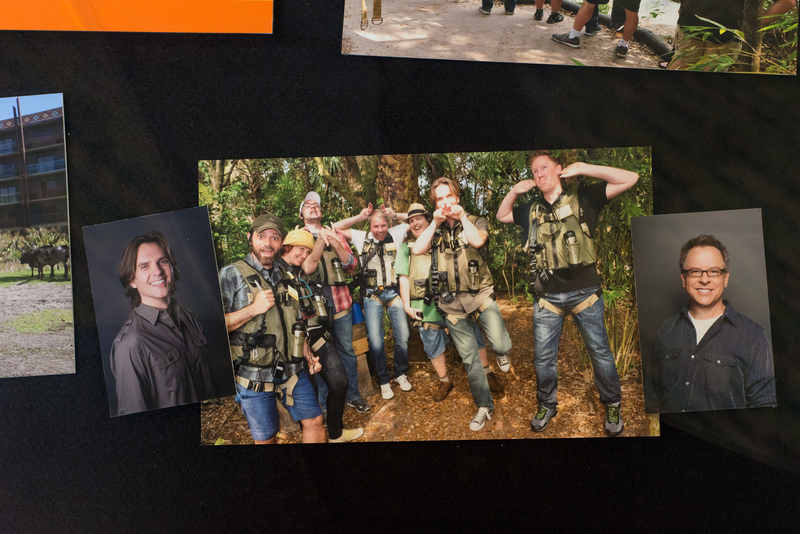 There were several pictures of the filmmakers visiting the the creatures at the Animal Kingdom. 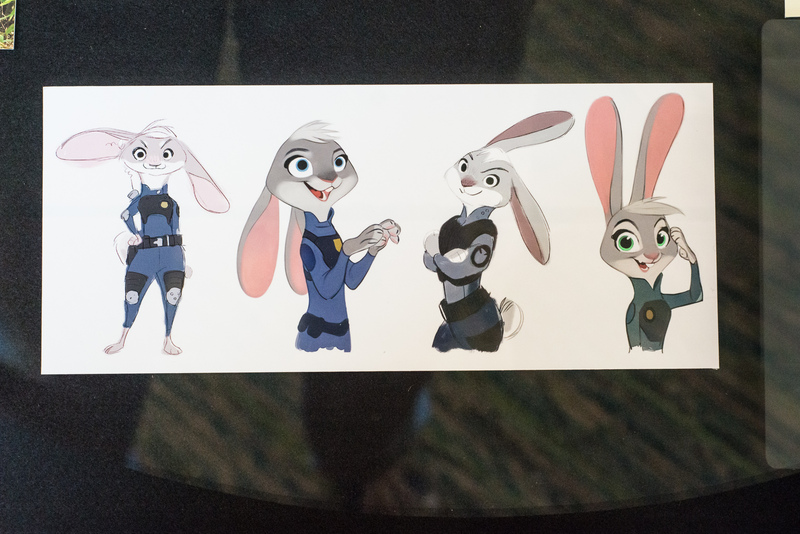 As well as artwork depicting some of the characters from the film. 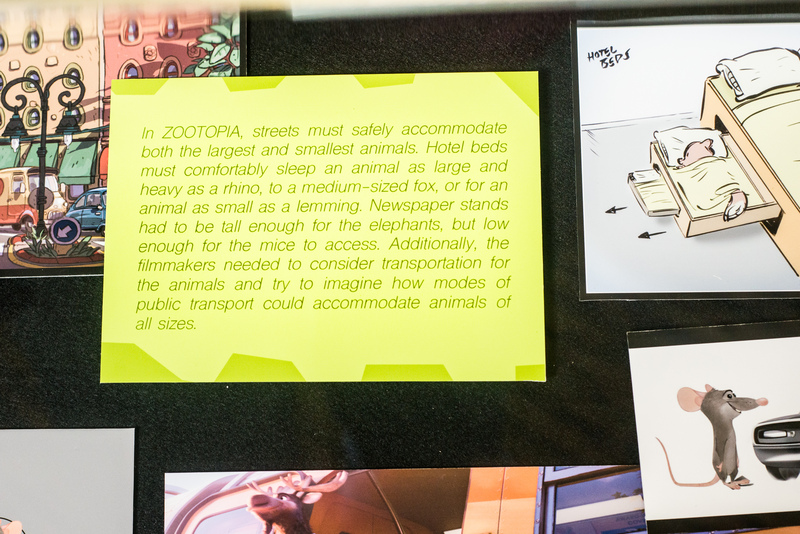 Again, given the lack of crowds here, you shouldn’t have any trouble checking out this exhibit, even on days when the park is busy. 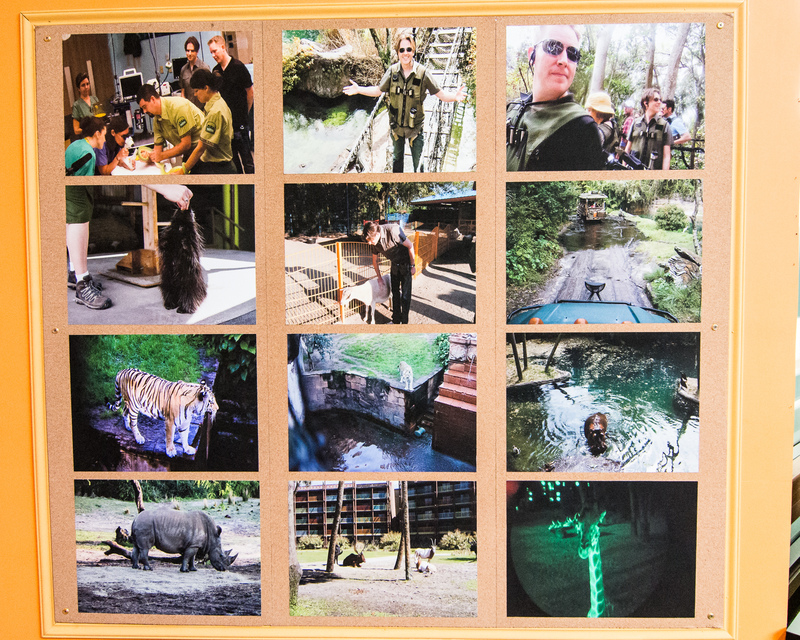 Once we finished with the Zootopia exhibit, it was time to return to “civilization.” Next up on the plan was the Maharajah Jungle Trek. 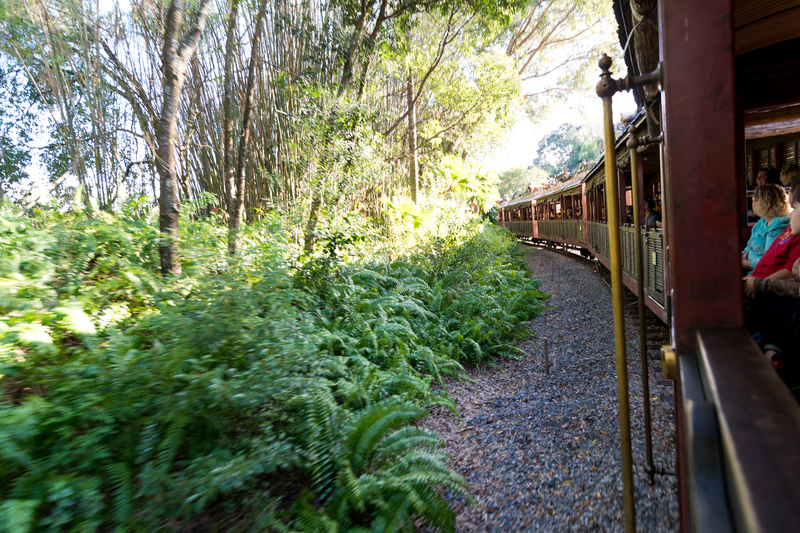 Like the Safaris, the Jungle Trek was also seemingly devoid of wildlife today. 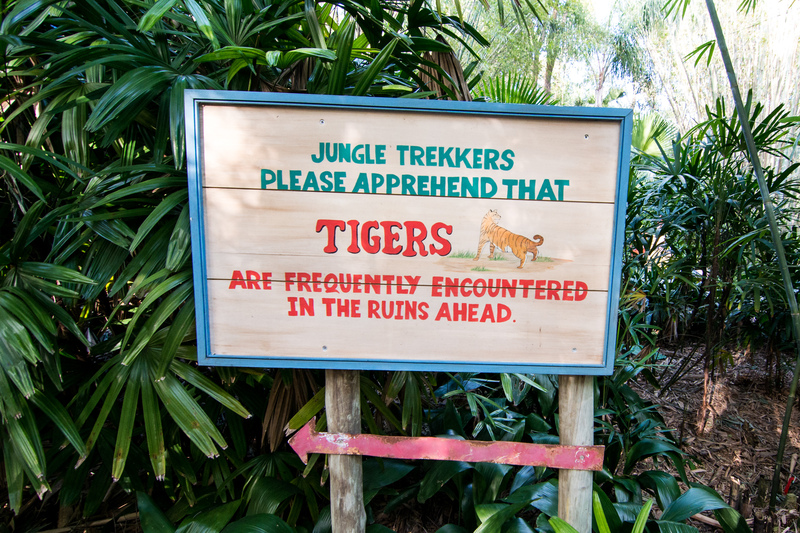 No komodo dragon, no bats, and only one tiger, despite the warning sign above. This bridge is always pretty though. 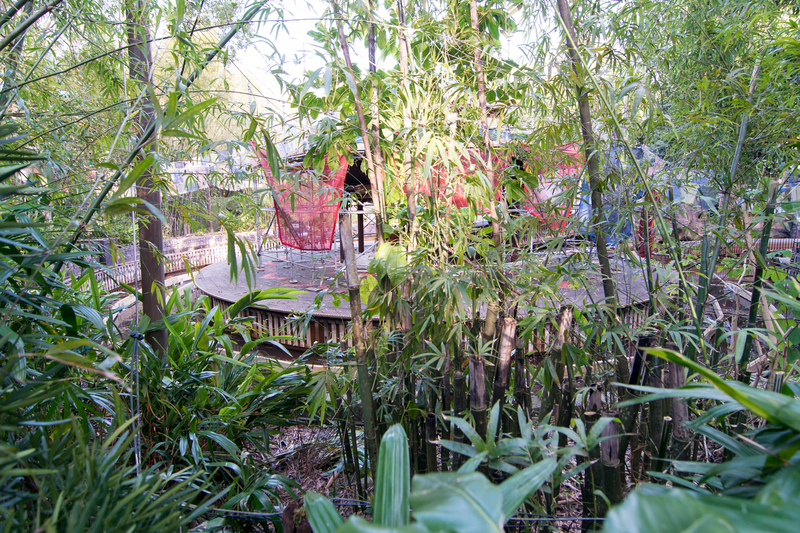 You can almost see the loading area for Kali River Rapids through the bushes here as you exit the Trek. 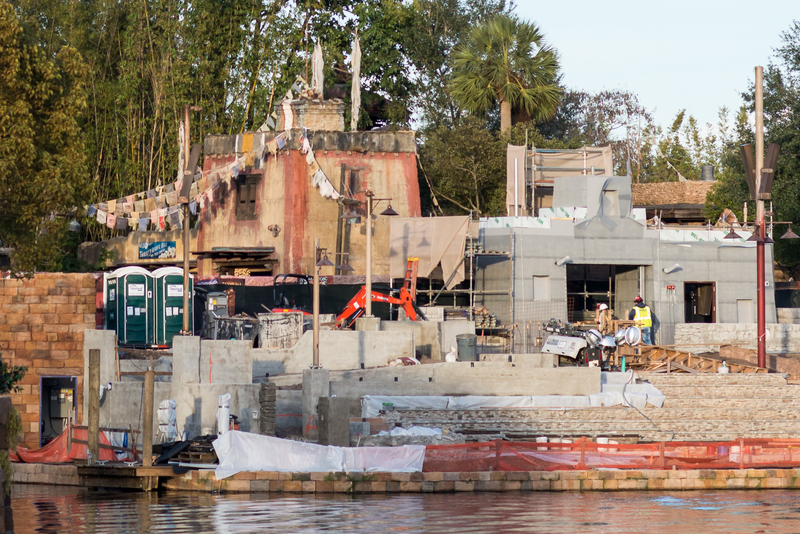 Note the dry riverbed, as Kali is currently undergoing refurbishment. Construction walls are everywhere these days. 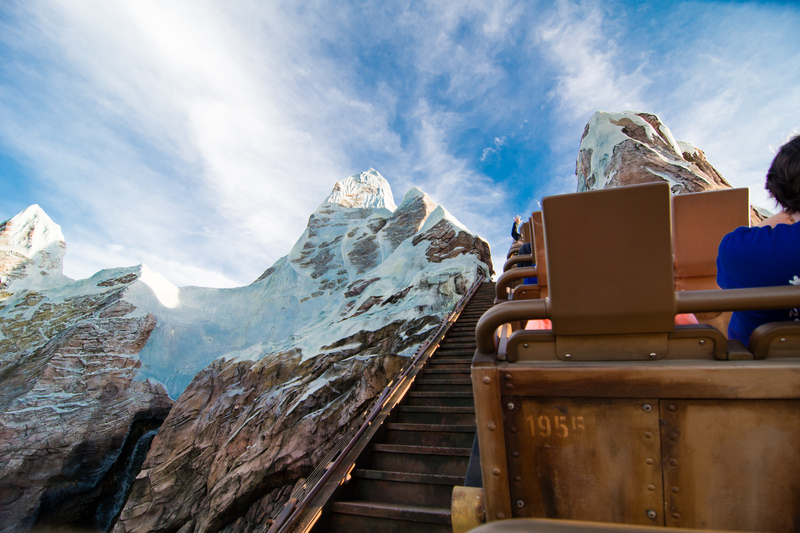 Next up on the RideMax plan was Expedition Everest. We boarded just a bit before 5:00pm, and even though the park closed at 5:30pm, the standby line was still on the long-ish side at about 35 minutes if I recall correctly. It should die down quite a bit before the park closes. I’m not sure if I’m just getting old or what, but I did end up with some nausea this time around… Nothing some pretzels and Sprite from the nearby gift shop couldn’t solve, but it did set me back six bucks. 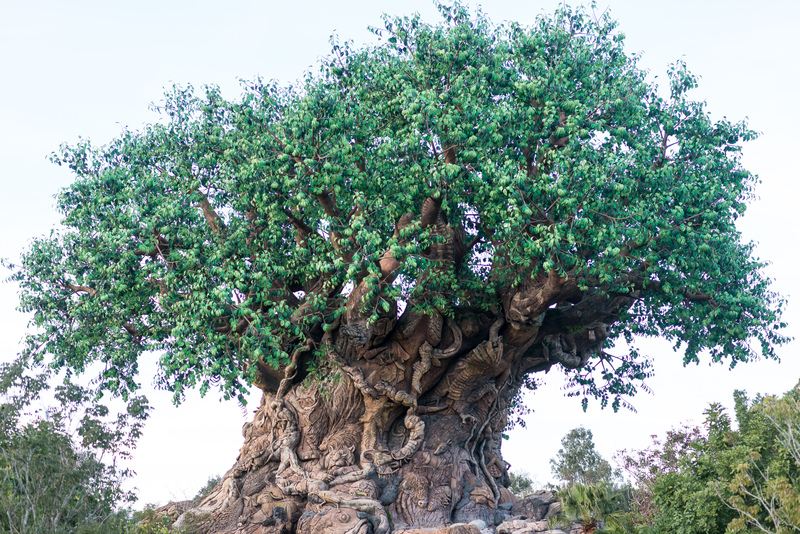 After taking the construction photos of the Rivers of Life, we concluded our rather casual RideMax plan for the day and headed past the Tree of Life for the exit. 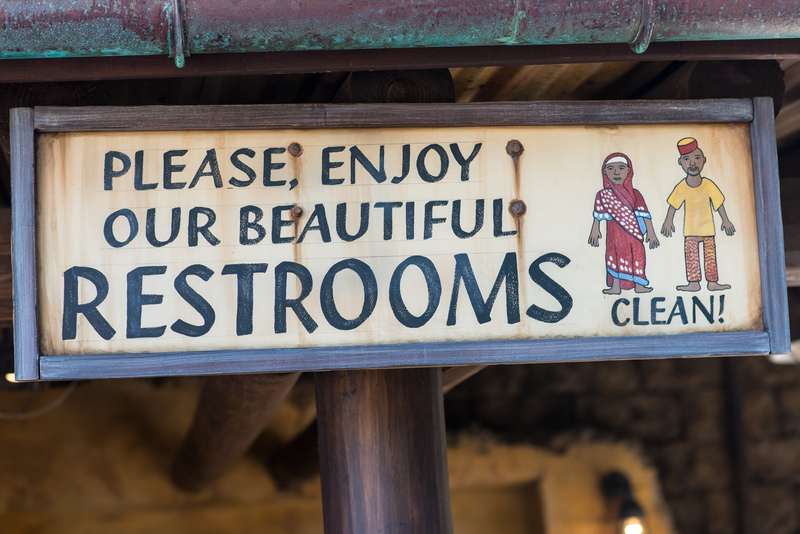 I must say, it was really nice doing a relaxed day like this at Animal Kingdom. Something I expect we’ll do again soon! If you’ve made it this far, thanks for following along! Any questions? Feel free to ask in the comments below! Ken, let me check on this and get back later today. I’m pretty sure it’s listed under just “Fireworks” in the attraction selection for Hollywood Studios, but we may not have it listed out more than just one week at a time, as in just the current or coming week. I’ll see if we can extend it out through the current calendar and let you know. 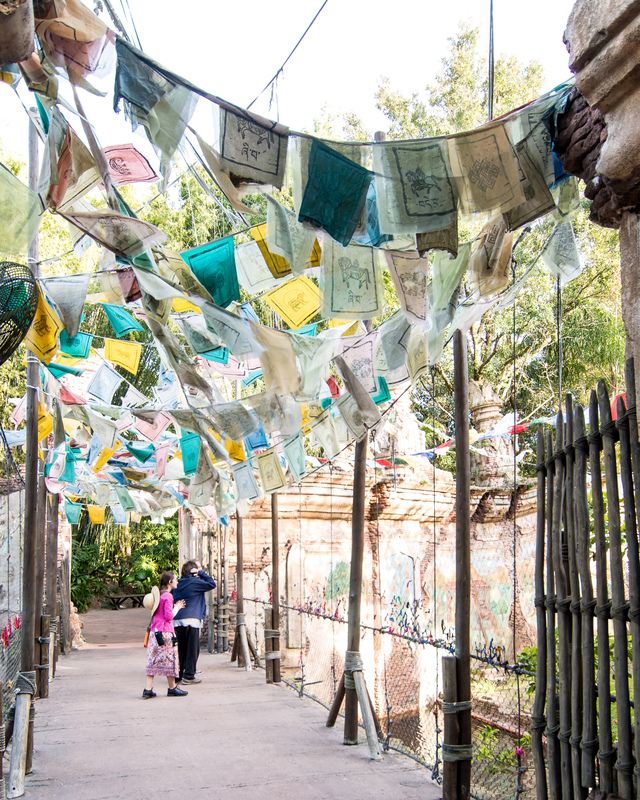 With the Rivers of Light night show, does that mean the Animal Kingdom park hours will be extended? Yes, Matt, I’m guessing once the official opening date is announced, we’ll see some major extensions to the park hours. 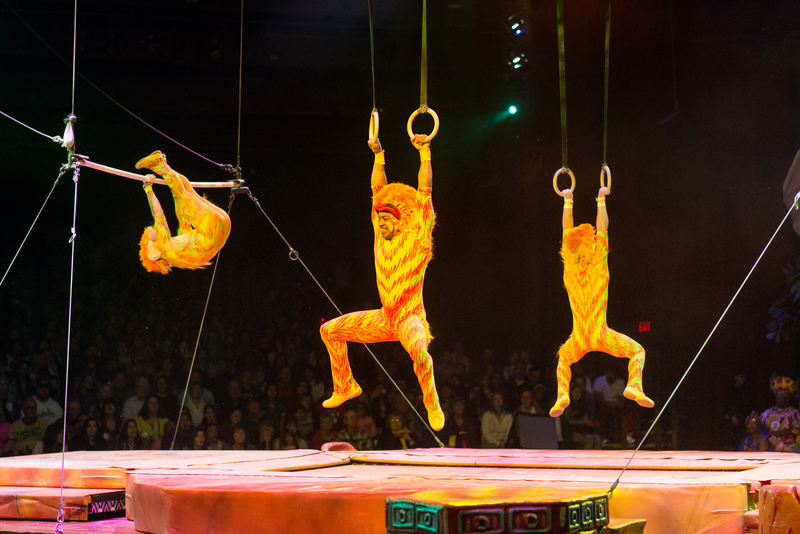 There are many dates in June with closing times listed at 5:00pm currently, but it wouldn’t be dark enough to run this show until closer to 9:00pm, so something will have to give. Five spice is usually cloves, cinnamon, pepper, fennel, and star anise. At least that’s what’s in the container of it on my spice rack. Ahhh… Thanks! I should have realized this was a standard thing lol. Either way, it was very good and I’m sure I’ll be back for more! 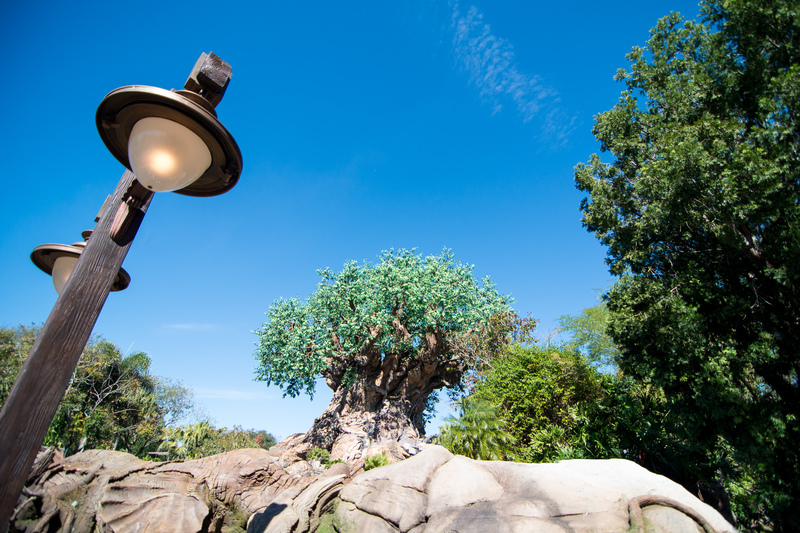 Previous Previous post: Join Us at Disney’s Animal Kingdom on Friday!